Time: 12:21 pm, Duration: 1:31:26, Speed: 16.1 mph, Loc: Paul Douglas FP, Felt: Good! No watch data, Time: ~4:00 pm, Loc: Great Western Trail, Felt, excited for book club! Time: 6:32 pm, Duration: 1:09:01, (500 WU, 200 kick, 4x100 hard, 2x500 sustained, 200 kick, 6x100 drill, 300 WD), Loc: LA Fitness, Felt: longest swim yet and felt great! I've been taking too many rest days, but I've been so exhausted! Looking at all these training hours I know why. Bike riding has been going very well and my speed on the triathlon bike is improving. I love it. Running and swimming is still a struggle. Biking is my strongest sport and I'm just drawn to it. I need to make these other two a priority. I needed that rest week in week 9. Especially after wrecking myself with that strength training session. I let the (not even certified) trainer push me way too hard and I paid for it. I can't afford to be that sore when I need to get other sessions in. Matt and I got lost while riding the Fox River Trail and ended up on the gravel Prairie Path. Riding on that crap is difficult with a triathlon bike. I was grumpy and I took it out on Matt. Thankfully he is pretty patient with me. After the ride, we went and got Lou Malnati's deep dish pizza and that made us both feel better. 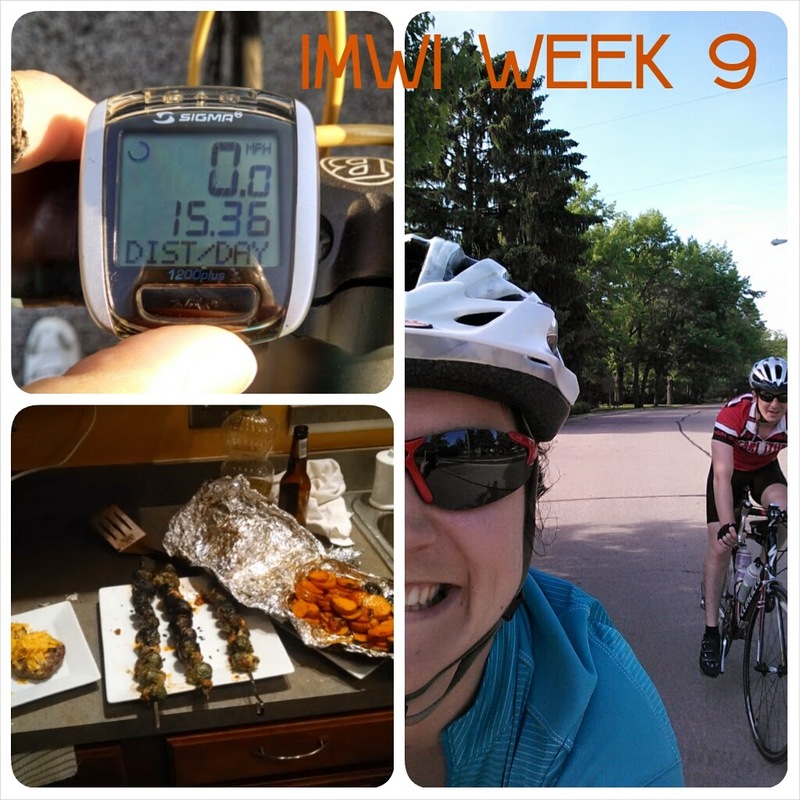 I had my longest swim and longest ride ever in Week 10. Besides the exhaustion I feel pretty good.